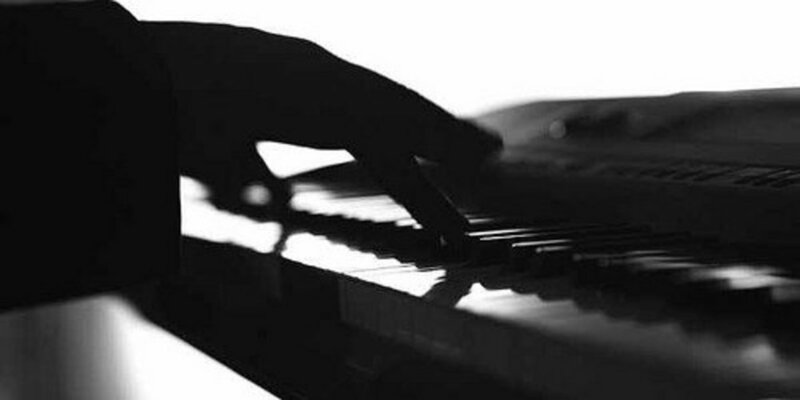 Note: Although this article is geared towards guitar players, all the theory involved works on piano too, so please make the most of it if you play keyboards. There are only two types of scale we're going to look at here and, in a guitar lesson, it is only a 10-minute job to learn them. As I'm explaining it in print, it might take a few minutes longer, but it is easy, really! Let's start with a pentatonic scale. That's Greek for five notes and shows how long people have been tinkering with music. Firstly, why use pentatonic scales? The main reason is that it makes solos much easier. Compared to a standard major scale, you are using 5 notes instead of 7, and those two omitted notes are the ones which tend to clash with chord changes. A good approach is to think pentatonic, and then add those notes back in, when desirable. So, think of pentatonic scales as a default when dealing with unfamiliar material. String 6 is the thickest. Hopefully, you have just played an E minor pentatonic scale. Next, play it all backward starting on the low 6th string. Have a friend play Em and G chords and jam along. Or play along with Heart Of Gold or Wish You Were Here. IMPORTANT: We have just learned a scale pattern, but this is just a map of where you could go. You could (and should) start on different strings, try to sing what you're playing, and generally try to phrase things to sound musical. As soon as you can, abandon the up and down scale pattern. You can use this over Am, Dm, Em and also over C, F, G - in other words, any chords in the key of C or Am. This box of four frets is just one position for this scale, there is a pattern of five shapes that cover the whole guitar neck. This is all detailed in my other hub Guitar - pentatonic scales. Music theory is covered in my other hubs, so please check them out if this doesn't make sense, or use the comments box to get some more advice. Chromatic notes: when you are really conversant with the scale, try adding some extra notes for a more blues or jazz sound. For instance, instead of going fret7, 5 put in fret 6 too, but only as a fast and interconnecting note. This works ascending too - so you get 5,6,7 on three of the strings. Let's look at major scales. First pattern is C major - starting on fret 3, string 5. Once you have this pattern, you can move it up the neck, or across one string, to play all the major scales. This is a case of learn one, get 5 free! Find fret 12 - it's where the double dot marker is on most non-classical guitars. Now play the following pattern on string 1 : 12 11 9 7 5 4 2 0. As the guitar is tuned EADGBE (low to high) you can simply play the same pattern on all the other strings to give you the scales of A, D, G, B as well. 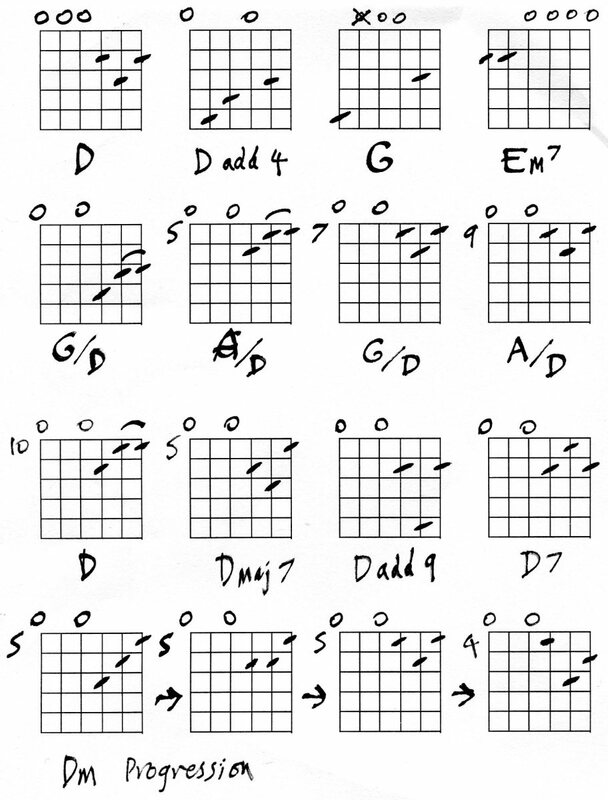 G A B C D E F# G You can use this scale or the relative minor pentatonic, which is the Em pentatonic scale shown above, in the key of G.
Chords in G: G Am Bm C D Em F#m7b5. 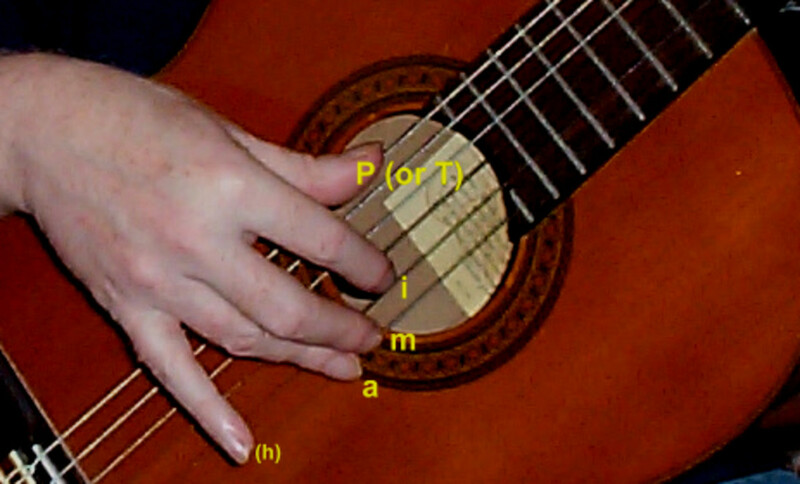 So a chord progression that uses G, Em, C, D for instance, will fit both these scales. 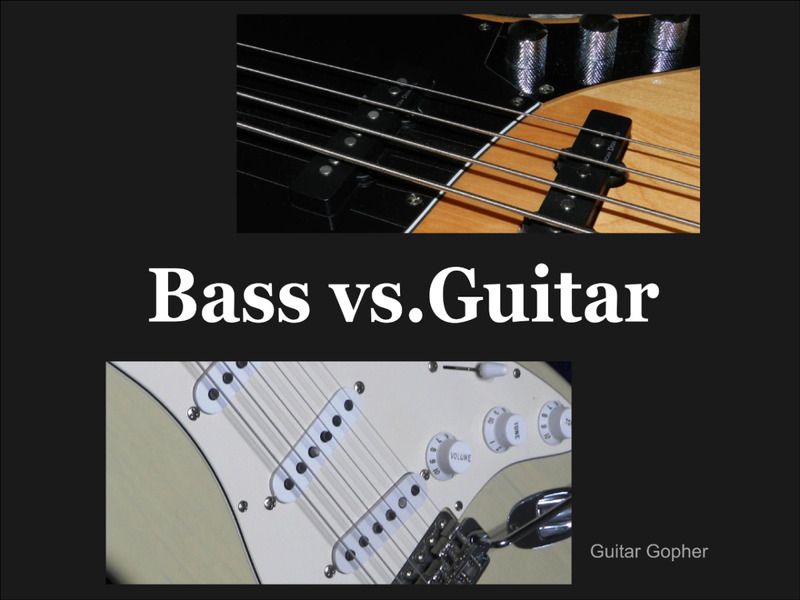 Although both will work, the pentatonic is much easier to use. 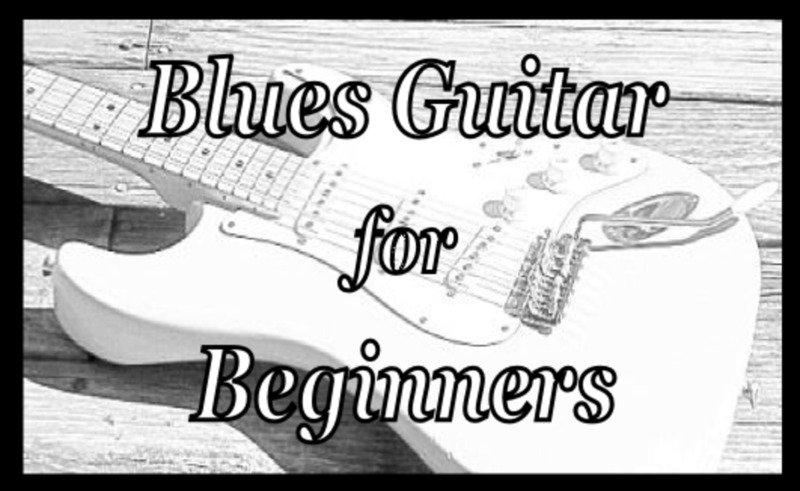 Use these over blues chords, E7 A7 and B7 in the key of E Blues. For the A blues scale, I've added some essential but little-known info - mix the two scales together, and the major 3rd note works over A7 as it follows the chord notes more closely. When changing to the IV chord, go back to using the minor 3rd instead. 0 2 4 5 7 9 11 12. 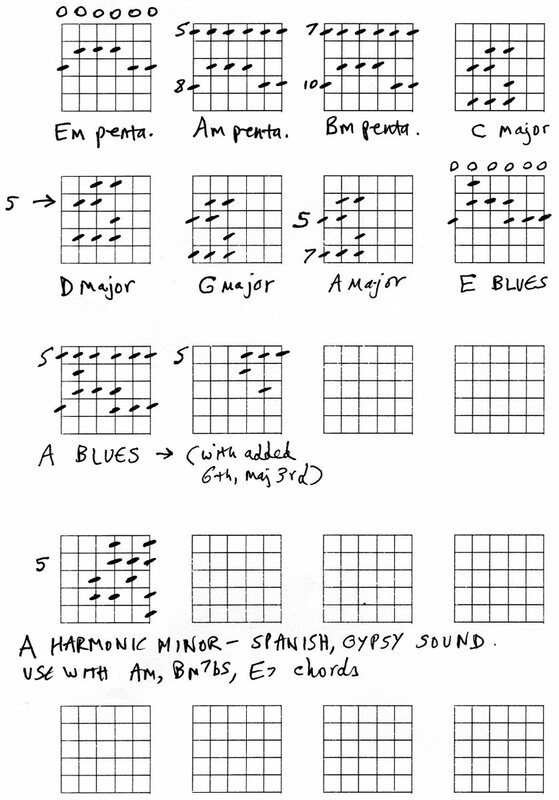 Notice the connection between the notes of the chords and the major scale.You could improvise or compose a melody line using this scale over these chords, in any order. You could also use the pentatonic scale pattern, in this case it would start at fret 9 and end at fret 12, which is the E, or tonic note. It's much easier to use the pentatonic scale for improvising, and because most rock and blues players use this scale all the time, it also sounds correct stylistically. Use the comments box if you want any help with applications of the scales. When you have these scale patterns down, try to avoid improvising by just running up and down in a linear fashion. It's much better to have some intervals and jumps, and to use vibrato and pull-offs to breathe some life into the sound. Watch some of the greats in action: Jeff Beck, Jimi, SRV, Carlos Santana, Danny Gatton. Not forgetting Robben Ford and Larry Carlton. Youtube will serve you well, but there are also instructional DVDs to buy or rent. Jon, very useful. I have a Fender Tele and a G-dec junior so have been playing loud! Is it 12 -3 on Sunday? Very helpful hub. Lots of good info here. I am trying to learn how to play just using a book, don't think it is working. Good job trying to explain something that usually requires visual aid. It will be a lot helpful. Thanks. 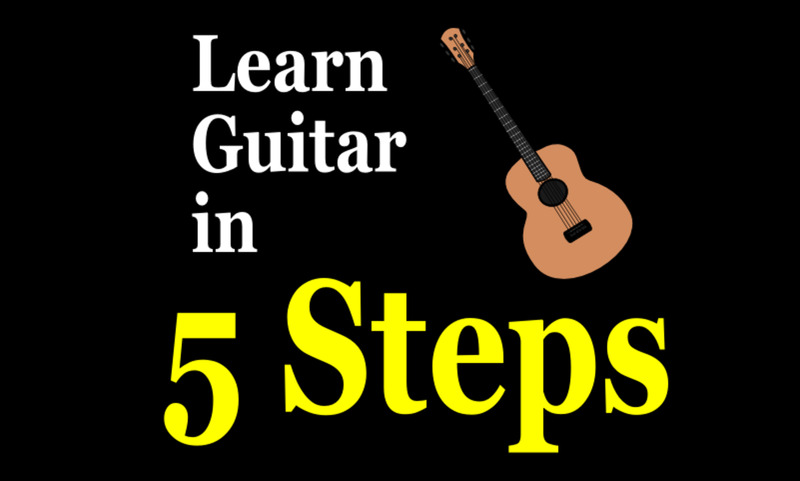 Thanks Lgali - I know this approach works because I've taught 1000+ guitar students! Practice in short 10-min bursts of intense activity, then have a little lie-down.